Today, we are very fortunate to have Katy Bowman on the podcast. Katy is a biomechanist, with emphasis on the BIO because rather than looking only at isolated joint angles, Katy has specialized in looking at how our movement, or lack thereof, influences all parts of our lives as well as our families, communities and the environment Katy’s work suggests we can, and should, be careful allowing technology the chance to remove all labor from our days. She has written numerous articles, 5 books and recorded multiple podcasts on her concept, nutritious movement. Katy’s latest book Movement Matters is available on Amazon now and it is a fantastic read that nudges you to get moving and provides many examples of why your movement throughout the day matters whether you are an athlete, a parent or struggling to find health. -> new book is out: Movement Matters! -> virtual classes on nutritious movement & transitioning to minimal shoes/floor-sitting/walking/general lifestyle changes as someone who’s mostly sedentary. Your athletic ‘career’ – what have you done from a movement/sport perspective. How did you get to this point where walking and physical labor became your passion and your sport/play pursuit? We really liked how you tied our decreased daily movement to a decreased need to do any work to get food in the book. 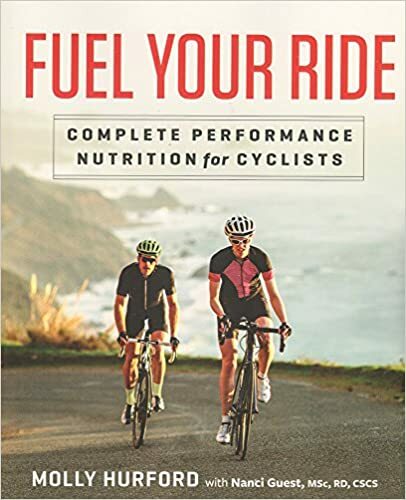 Is a cyclist riding for 5 hours for example isn’t getting a lot of the ‘nutrients’ that we need? Can you speak to why an athlete would want to consider adding walking in nature with loved ones into their day, even if they have a long bike ride, or ‘exercise’ more than guidelines ? athletic people don’t differ on paper much from those 0 exercise people: 60 min of exercise or not isn’t that different. That’s only 4% of your day! Many sports shoes, rock climbing and cycling for example, have very narrow toe-boxes. Can you suggest some ways to minimize the crunched toes, bunions and foot pain? look for clear signs that current behaviors aren’t sustainable. Sleeping position – This is such a huge part of our lives. I feel like we still don’t consider our sleep ‘alignment’ / positions enough. What are some steps we can take to help make sure our 8 hours of rest is not setting us up for back pain or reinforcing our hunched over, athletic and keyboarding positions? Sleep, we have created a situation with soft mattresses/pillows. But people should transition away from comfortable beds/mattresses. If you’re coddled in soft mattress all night, you stay in 1 position similar to how you sit all day. Movement should even happen in sleep! social / what’s next ? virtual classes on nutritious movement & transitioning to minimal shoes/floor-sitting/walking/general lifestyle changes as someone who’s mostly sedentary.